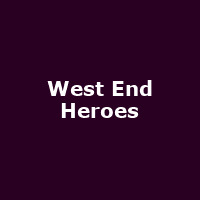 West End Heroes is an annual fund-raising event for the charity Help for Heroes. The line-up for the 2014 event is to be announced. 2013 featured The Central Band of the Royal Air Force, The Soldiers, Joe McElderry, The Overtones, Royal Air Force Squadronaires, Brian Conley and many more.